Mokdad AH, Ballestros K, Echko M, Glenn S, Olsen HE, Mullany E, et al. The State of US Health, 1990-2016: Burden of Diseases, Injuries, and Risk Factors Among US States. JAMA [Internet]. 2018;319(14):1444–72. This paper is comprehensive and well covered throughout the social media sphere, so just adding a few things in the nutrition realm as well as a point on Washington, DC. High fasting plasma glucose increased in all states; the increase ranged from 127.2% in Mississippi to 1.7% in Pennsylvania Mokdad AH, Ballestros K, Echko M, Glenn S, Olsen HE, Mullany E, et al. The State of US Health, 1990-2016: Burden of Diseases, Injuries, and Risk Factors Among US States. JAMA [Internet]. 2018;319(14):1444–72. These are bad signs. They indicate increasing insulin resistance, metabolic syndrome, and ultimately (type 2) diabetes and non-alcoholic fatty liver disease (NAFLD) (which most people with diabetes have) which may become the #1 reason for liver transplantation in the United States. This condition, insulin resistance, and its constellations are only preventable/treatable by diet. Could Increased Fasting Blood Glucose have been caused by, rather than prevented by, current dietary recommendations? In the body of the paper, the increase in fasting blood glucose is not connected to current dietary recommendations as a cause. Current recommendations promote carbohydrate intake and may be partially responsible for this increase. 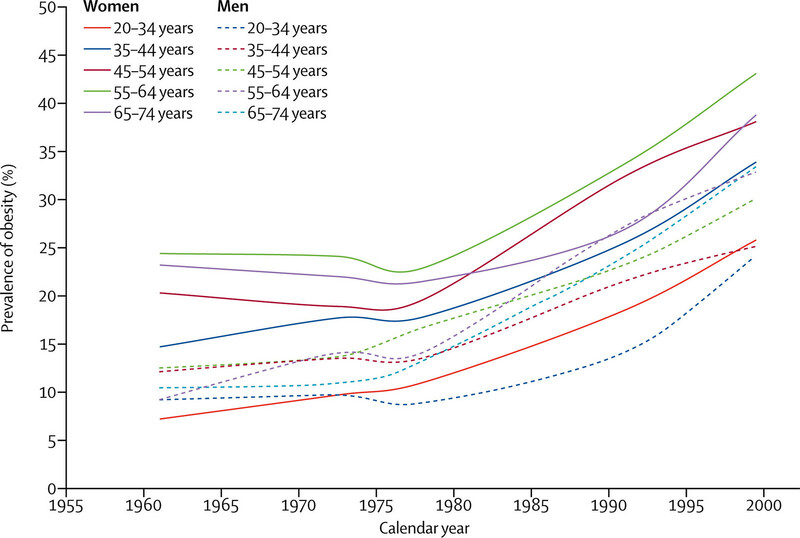 All states experienced a considerable reduction in probabilities of death for ages 55 to 90 years, largely associated with reductions in the probability of dying from cardiovascular diseases (Figure 5). The highest point decline was observed in California at 12.6 points, compared with lowest decline of 3.5 points for Mississippi. These declines were somewhat offset by increases in the death rates associated with cirrhosis and other liver disease Mokdad AH, Ballestros K, Echko M, Glenn S, Olsen HE, Mullany E, et al. The State of US Health, 1990-2016: Burden of Diseases, Injuries, and Risk Factors Among US States. JAMA [Internet]. 2018;319(14):1444–72. 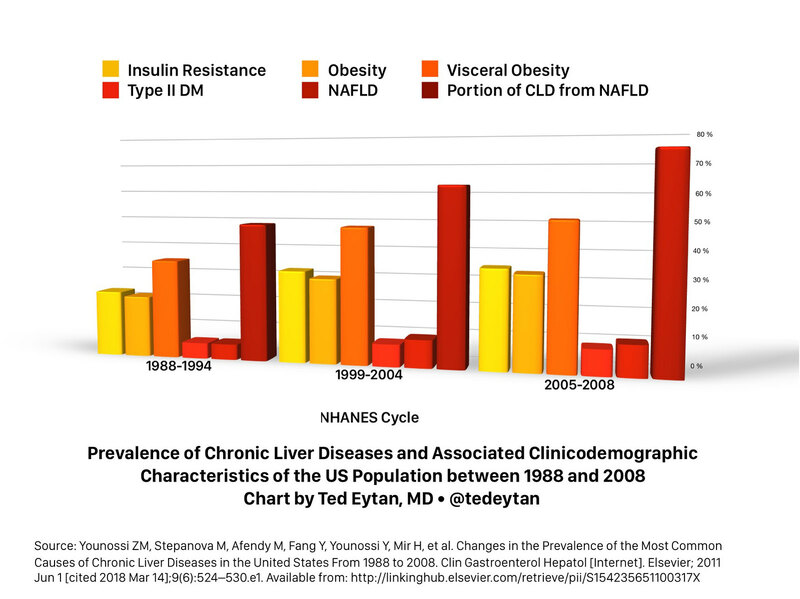 The quote below is confusing, because chronic liver disease from alcohol and hepatitis has been relatively stable or decreasing, while non-alcoholic fatty liver disease is going up, and accounts for the majority of chronic liver disease now. For cirrhosis, intervention strategies to treat hepatitis C and decrease excessive alcohol consumption are important. This is repeated in this paper that is in so many others, that don’t look at sub-county level data. In the United States in 2016, the SDI ranged from 0.874 in Mississippi to 0.978 in Washington, DC (global SDI values in 2016 ranged from 0.268 in Somalia to 0.978 in Washington, DC) Mokdad AH, Ballestros K, Echko M, Glenn S, Olsen HE, Mullany E, et al. The State of US Health, 1990-2016: Burden of Diseases, Injuries, and Risk Factors Among US States. JAMA [Internet]. 2018;319(14):1444–72. Looking closely at subcounty data, as one needs to do for Washington, DC, reveals a very different picture, with one of the (or the) highest Gini coefficient in the United States, meaning tremendous inequality within a small region: Income inequality and economic mobility in D.C. – D.C. Policy Center, as well as large health disparities across 8 wards (see: New Maps of DC health data – Not yet one culture of health). Therefore, discussing Washington, DC as a place that should only be affected by disease burdens typical of higher SDI places as is done in the article isn’t accurate. Washington, DC resembles both the most advantaged and most disadvantaged in a small area. 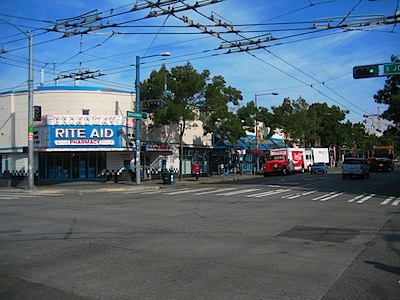 Changes in health are also difficult to intepret the way the authors have done, especially if the comparison is between 1990 and 2016, because of massive changes in demographics since 1990, the population nadir of our city. 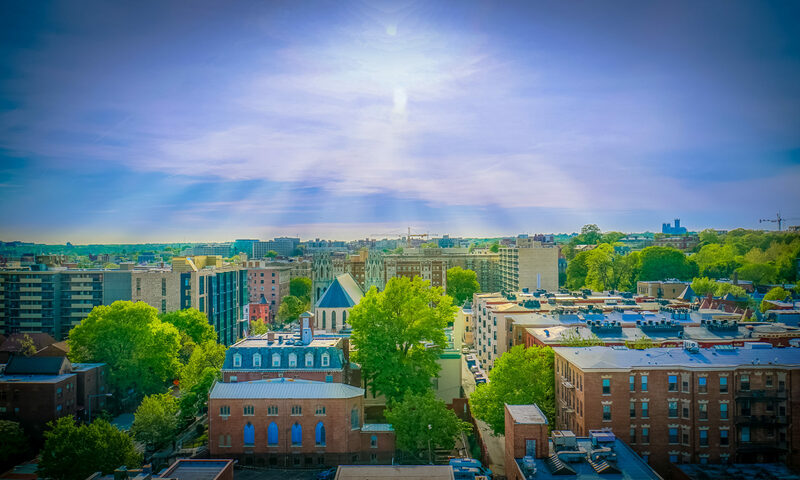 Thanks for publishing my photo, in Goodbye to Chocolate City (Demographic Changes & Segregation Indices) – D.C. Policy Center. All authors have completed and submitted the ICMJE Form for Disclosure of Potential Conflicts of Interest. Dr Singh reports receipt of grants and personal fees from Savient, Takeda, and Crealta/Horizon; personal fees from Regeneron, Merz, Iroko, Bioiberica, Allergan, UBM LLC, WebMD, and the American College of Rheumatology during the conduct of the study; personal fees from DINORA; and nonfinancial support from Outcomes Measures in Rheumatology outside the submitted work. Dr Degenhardt reports receipt of grants from Mundipharma, Indivior, and Seqirus outside the submitted work. Dr Bell reports receipt of grants from the US Environmental Protection Agency and the National Institutes of Health (NIH) during the conduct of the study, and honorarium and/or travel reimbursement from NIH, the American Journal of Public Health, Columbia University, Washington University, Statistical Methods and Analysis of Environmental Health Data Workshop, North Carolina State University, and Global Research Laboratory and Seoul National University. Dr Mozaffarian reports receipt of personal fees from Acasti Pharma, GOED, DSM, Haas Avocado Board, Nutrition Impact, Pollock Communications, Boston Heart Diagnostics, and Bunge; other for serving on a scientific advisory board from Omada Health and Elysium Health; a grant from NIH and the National Heart, Lung, and Blood Institute; a grant from the Bill and Melinda Gates Foundation; and royalties from UpToDate outside the submitted work. Thanks to the authors for their work. Source: Mokdad AH, Ballestros K, Echko M, Glenn S, Olsen HE, Mullany E, et al. The State of US Health, 1990-2016: Burden of Diseases, Injuries, and Risk Factors Among US States. JAMA [Internet]. 2018;319(14):1444–72.